A CHINESE man called – get this – Wang Mou (oh, nominative determinism) pretend to be woman in order to marry men for their money. But he never married on first sight. He married after many sightings. Wang allegedly sold himself to a Mr Liu, scoring a £1,000 engagement dowry. He then met Mr Zhang in Zhoukou, and got another £1,000 engagement fee. He was arrested not long after. 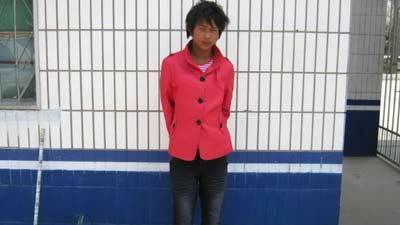 At the time of his arrest, Wang was still wearing his pink wedding dress.